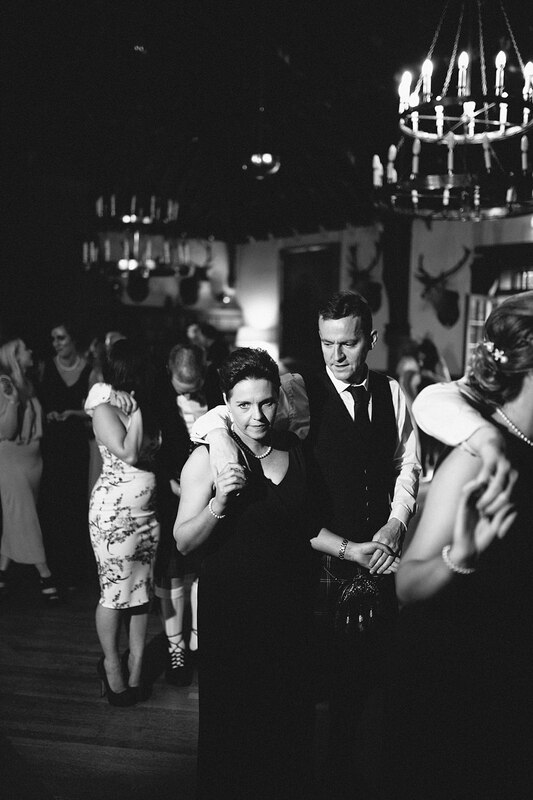 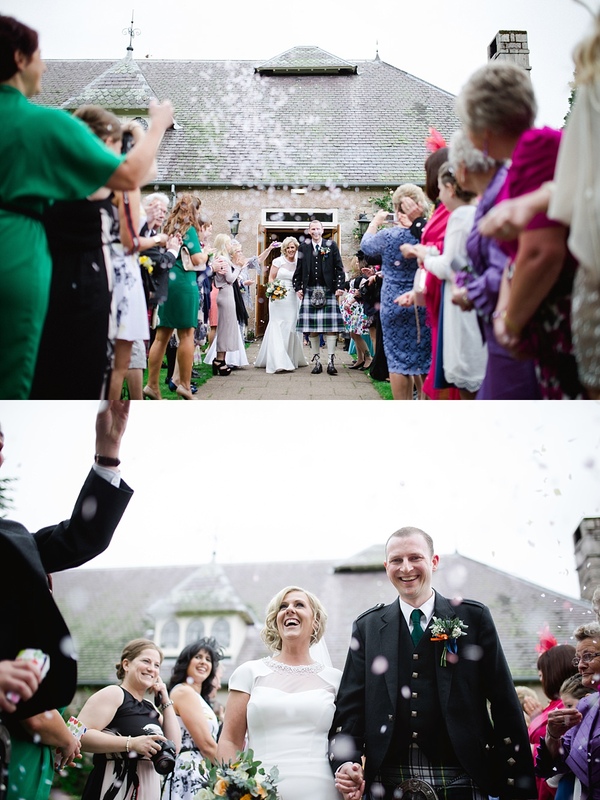 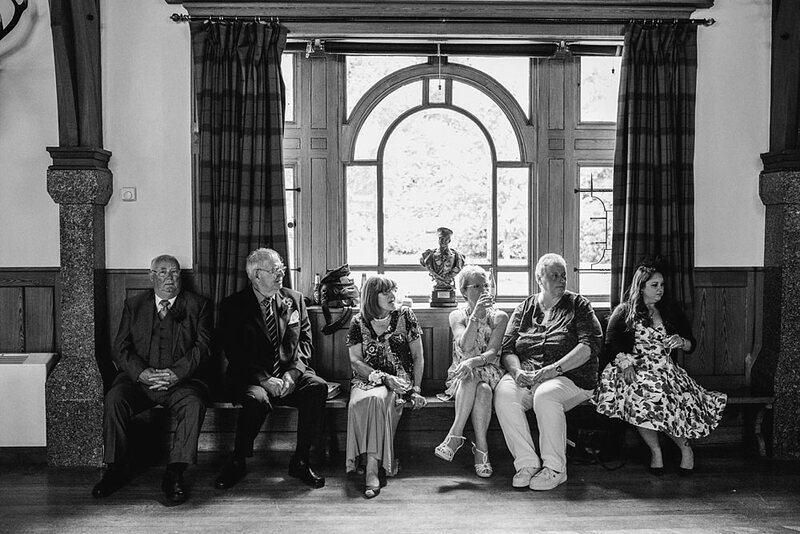 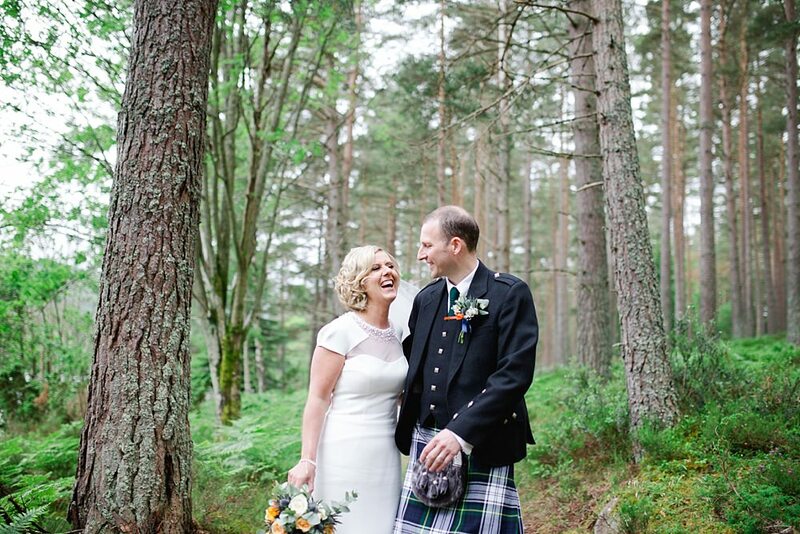 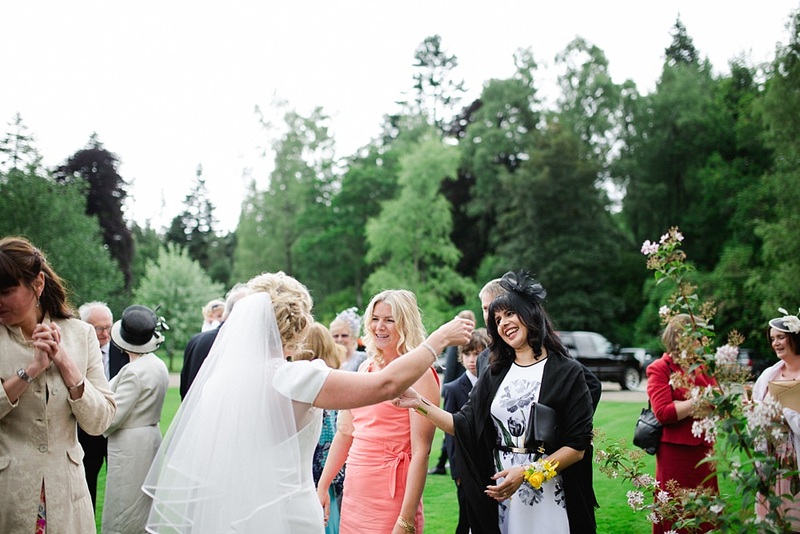 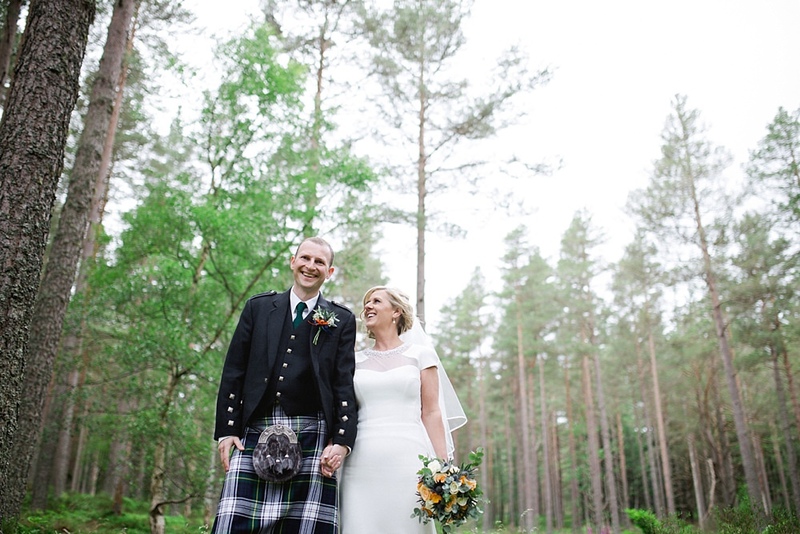 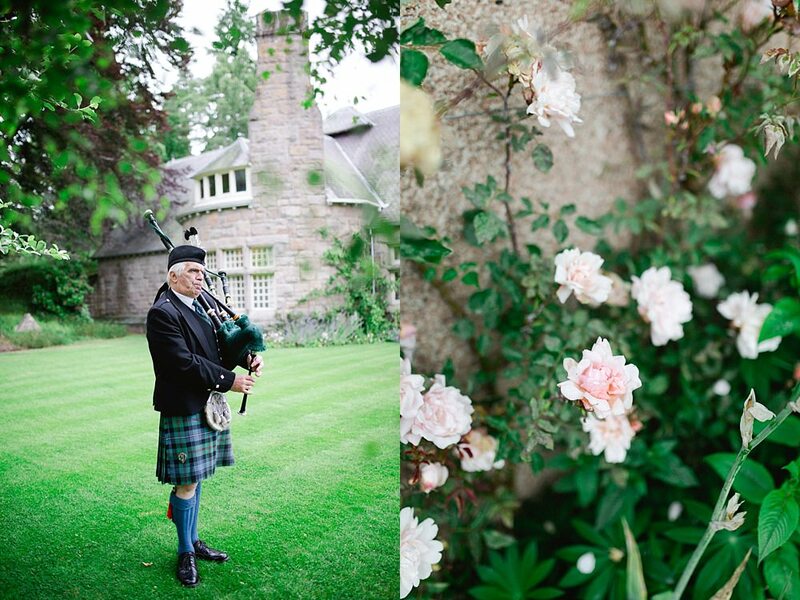 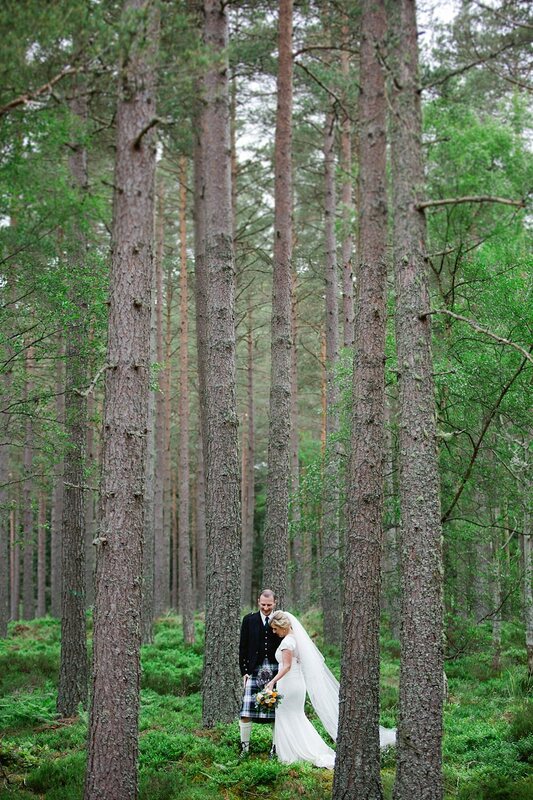 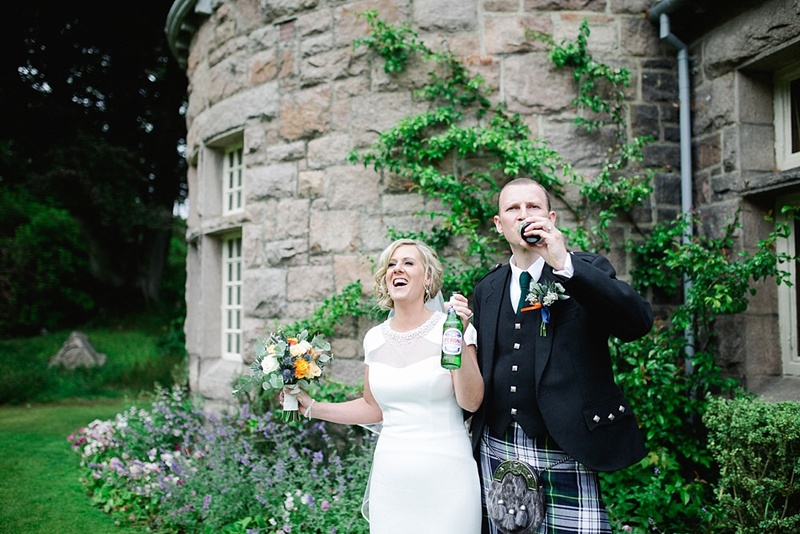 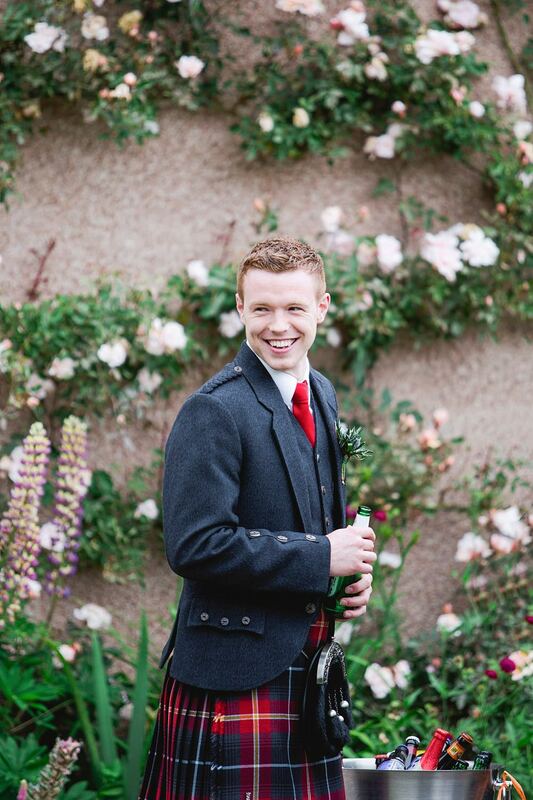 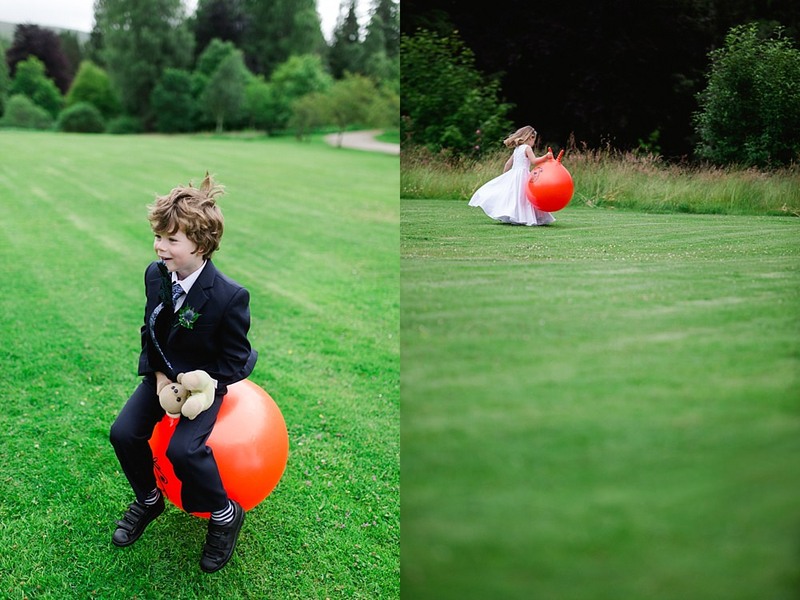 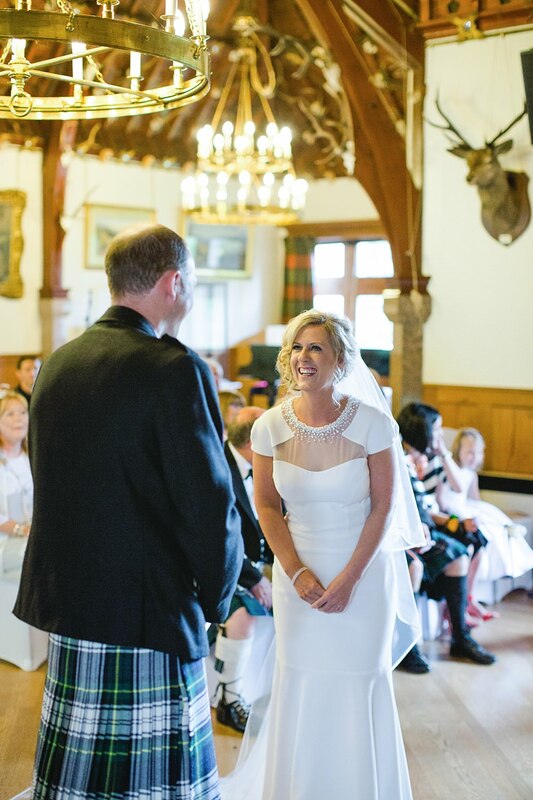 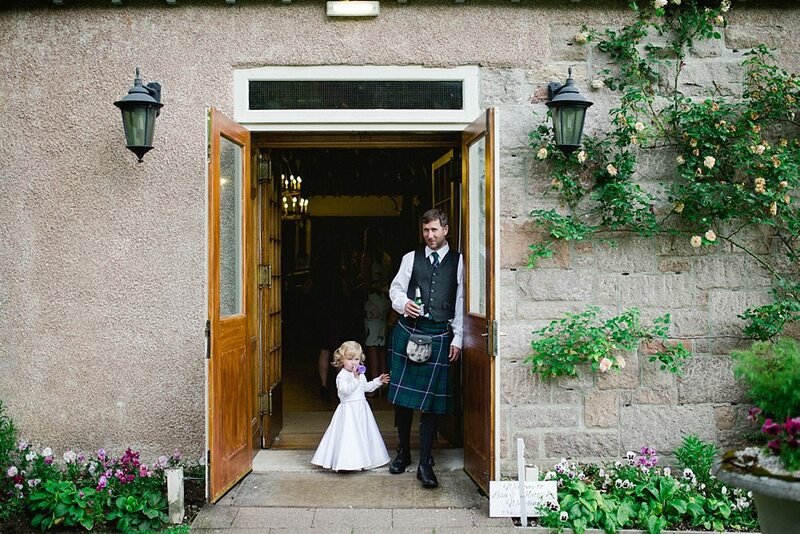 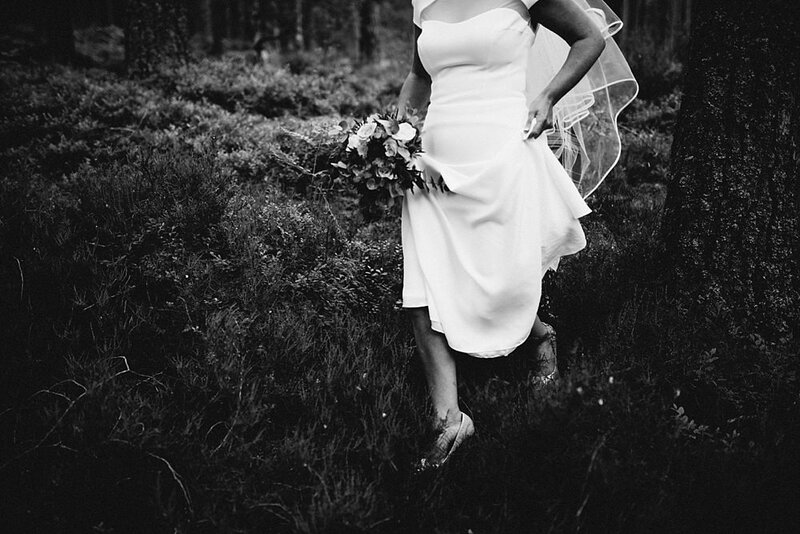 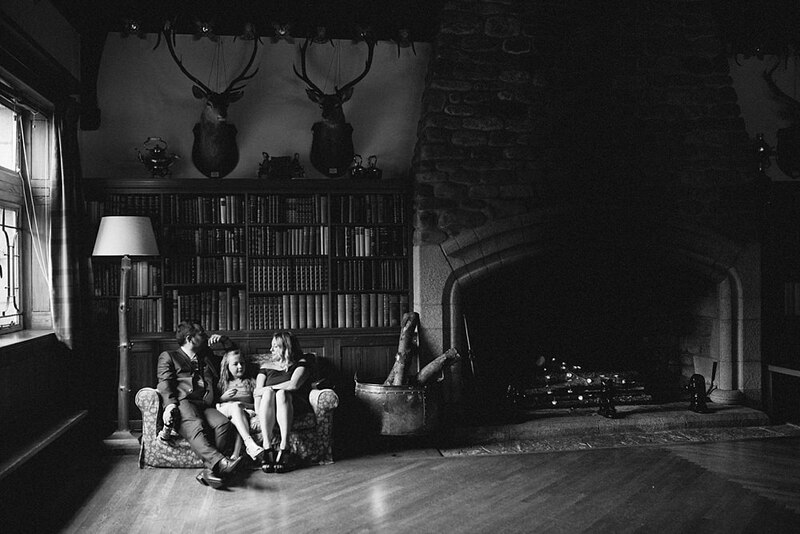 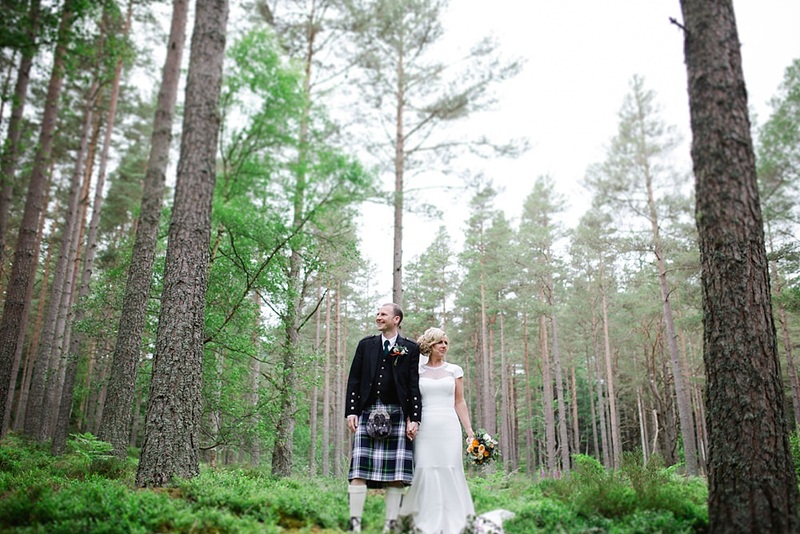 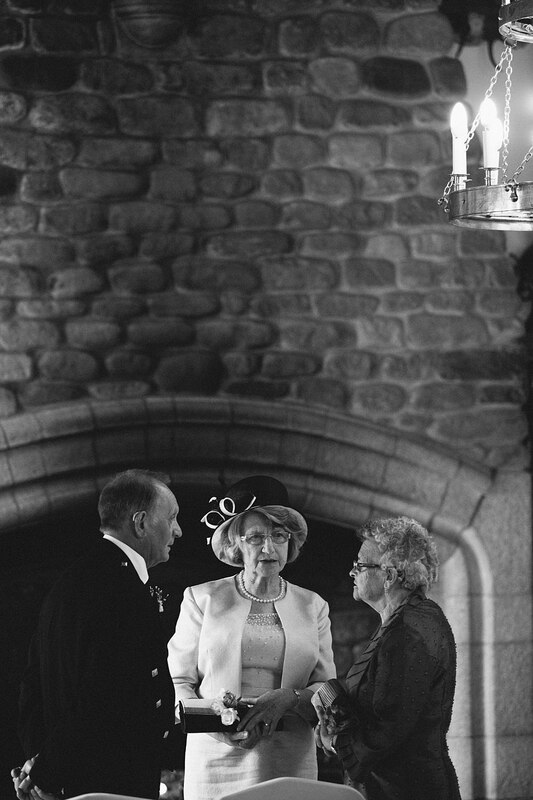 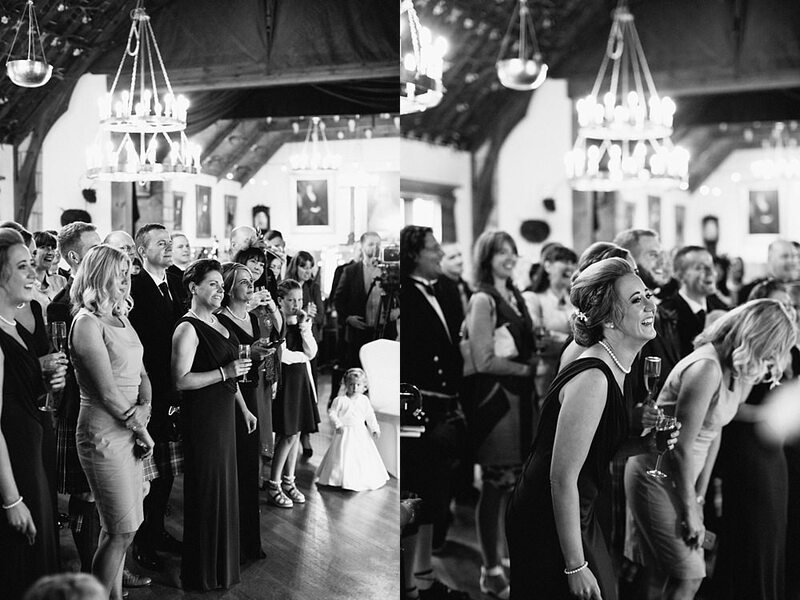 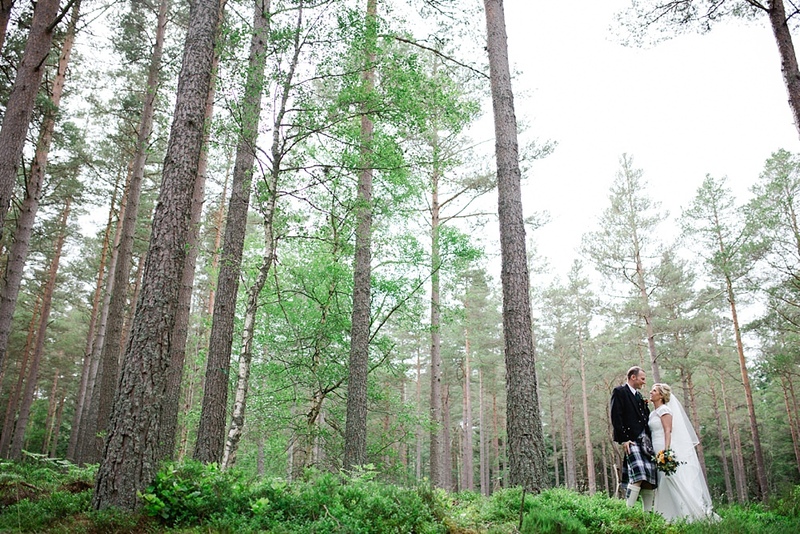 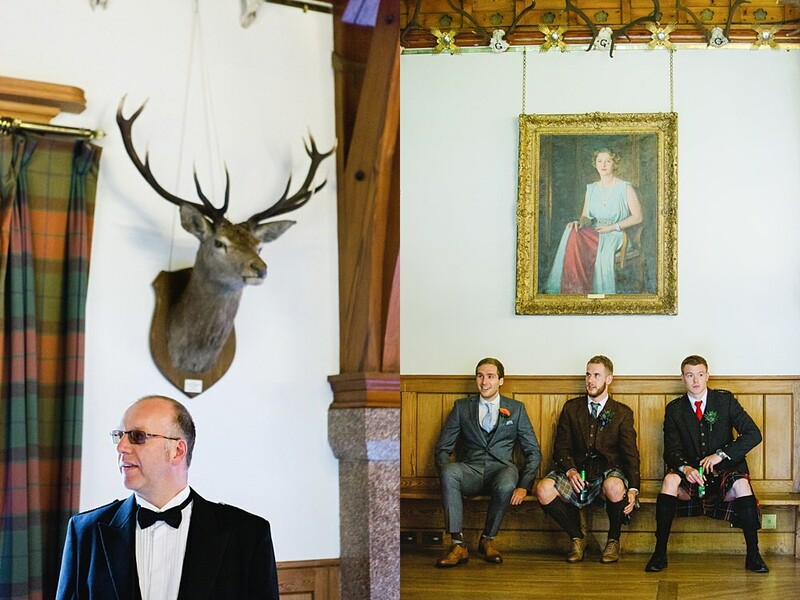 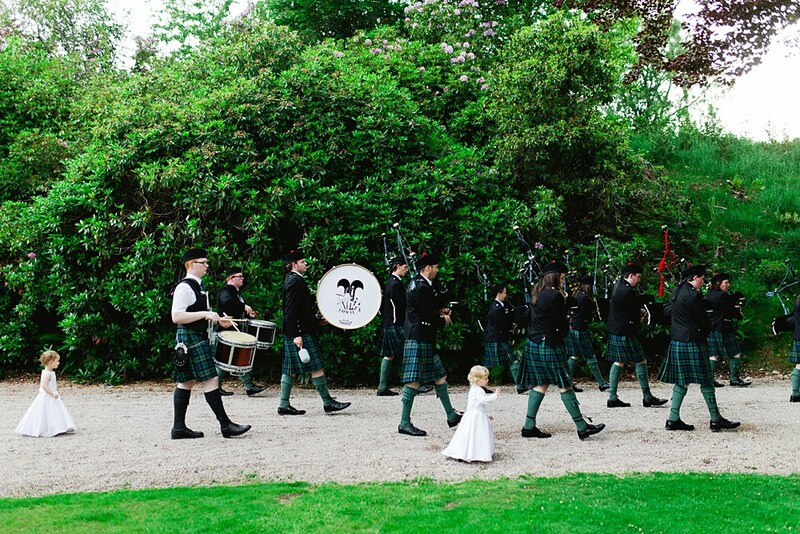 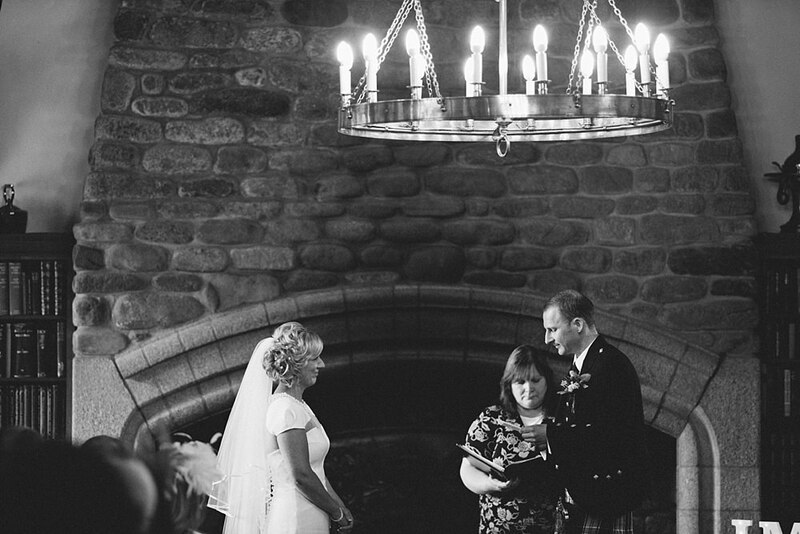 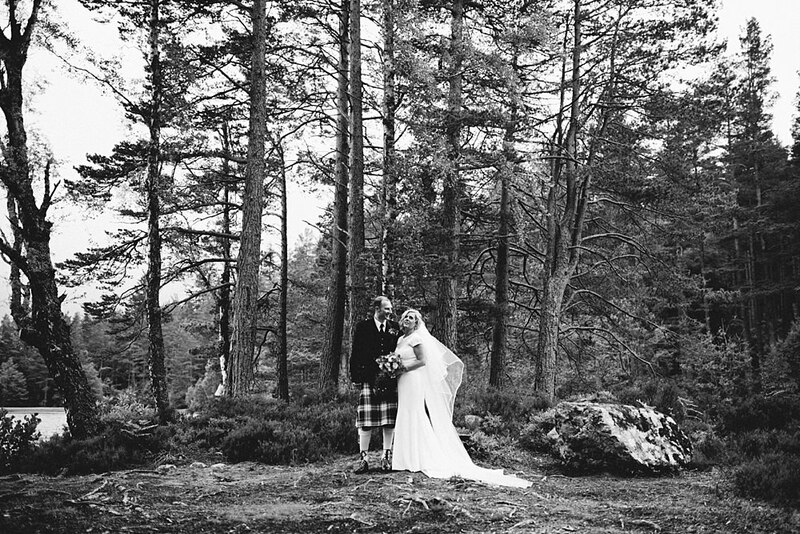 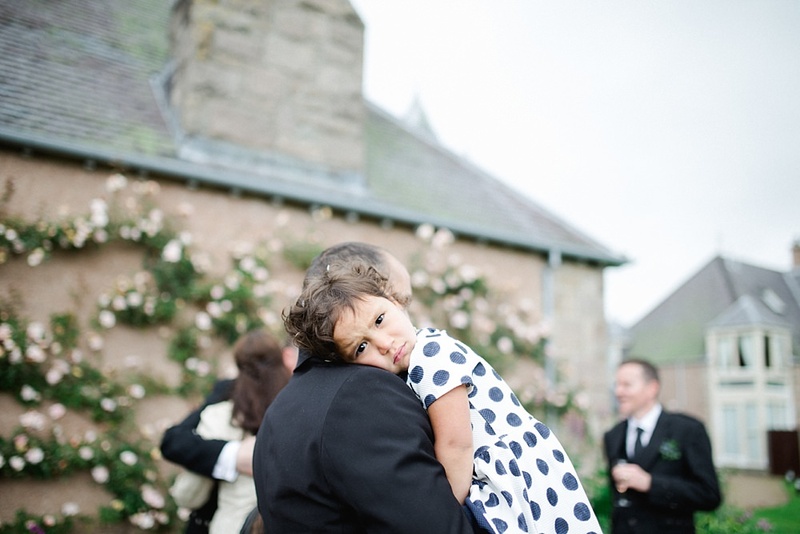 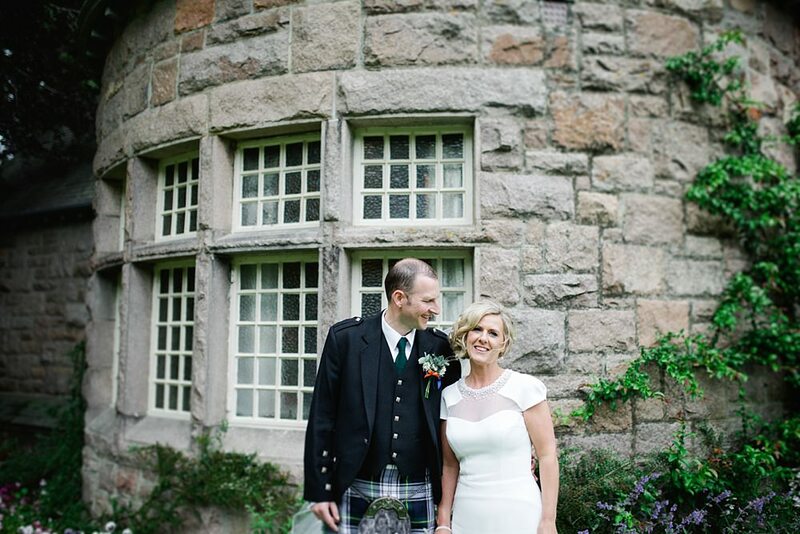 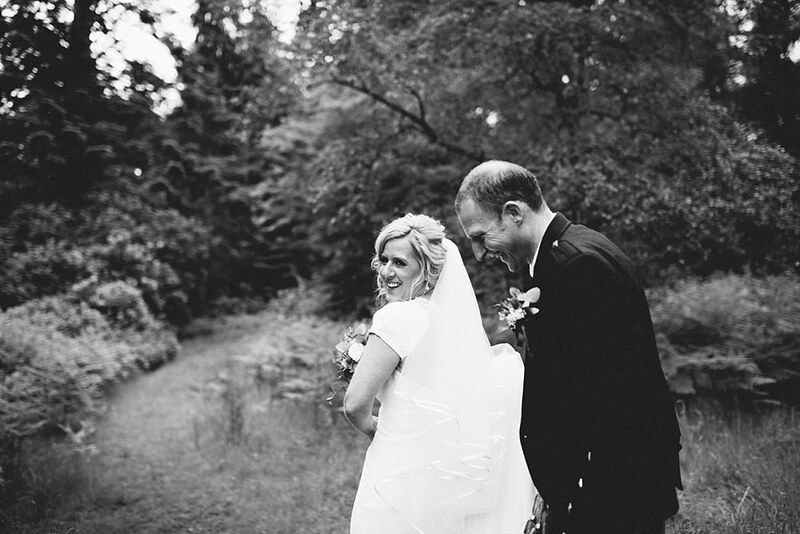 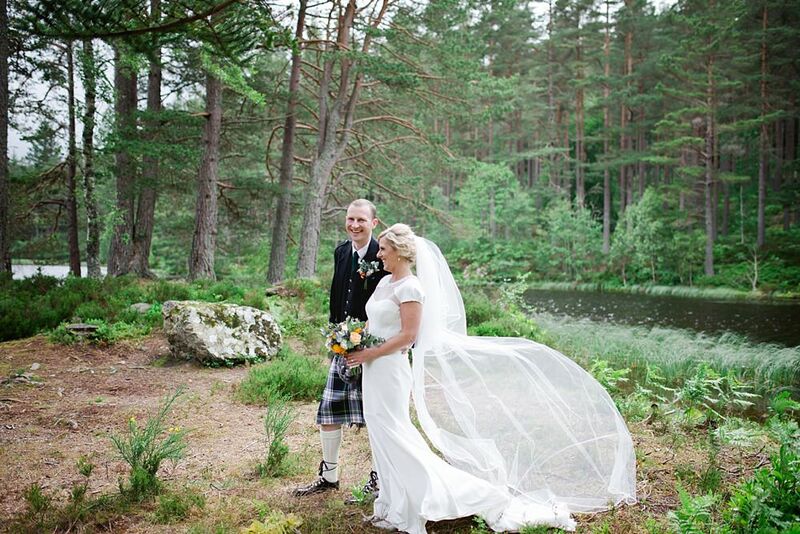 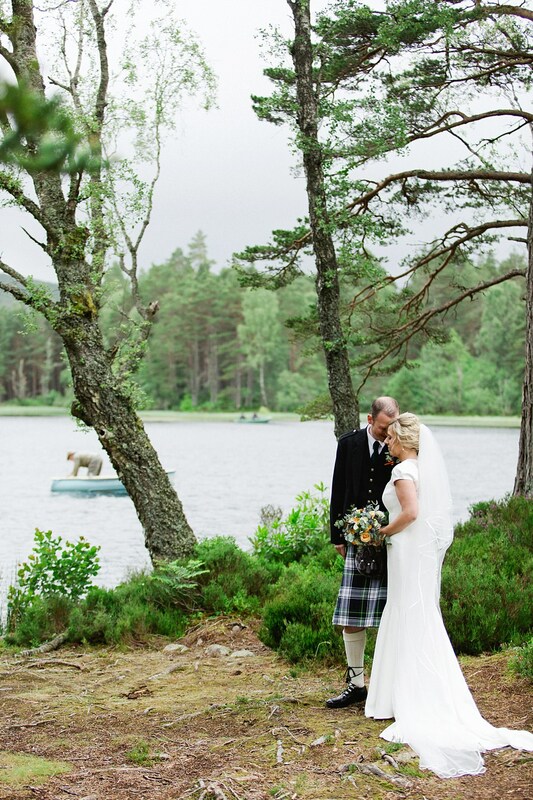 So excited to share this Glen Tanar estate wedding with you all today. 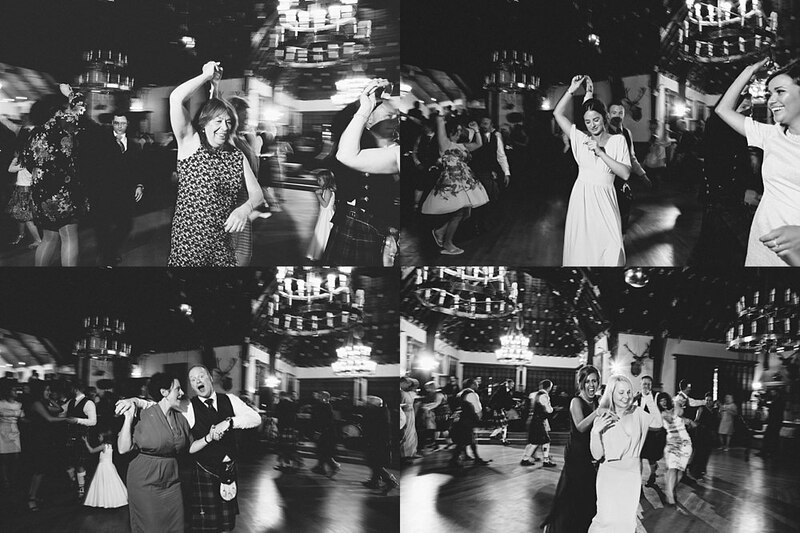 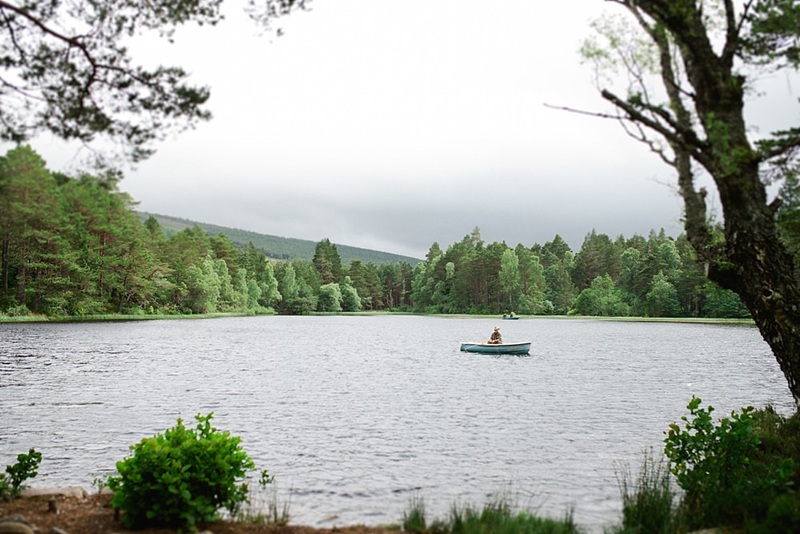 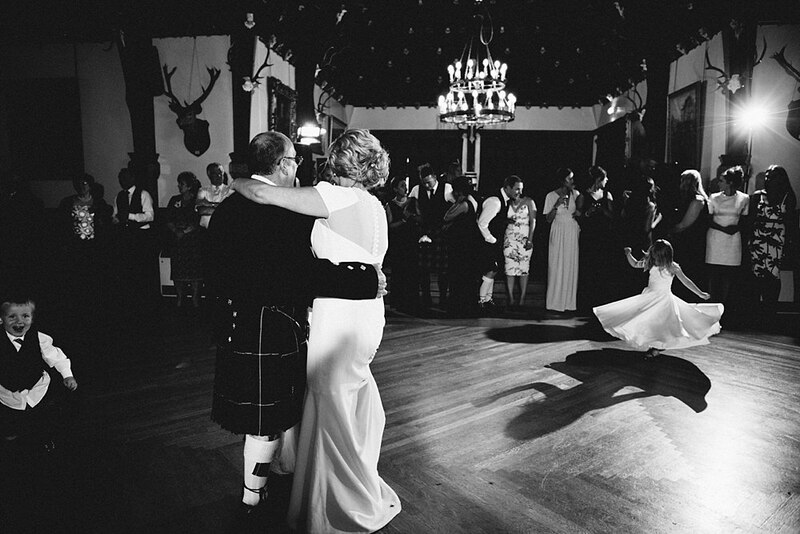 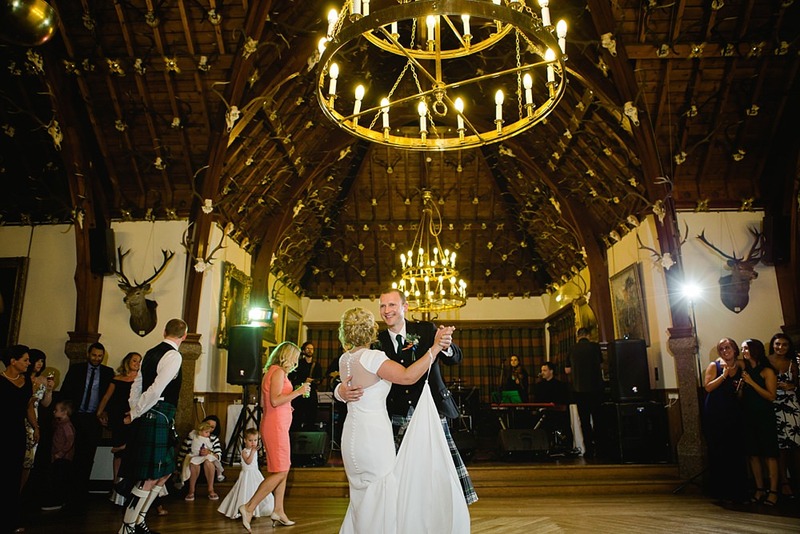 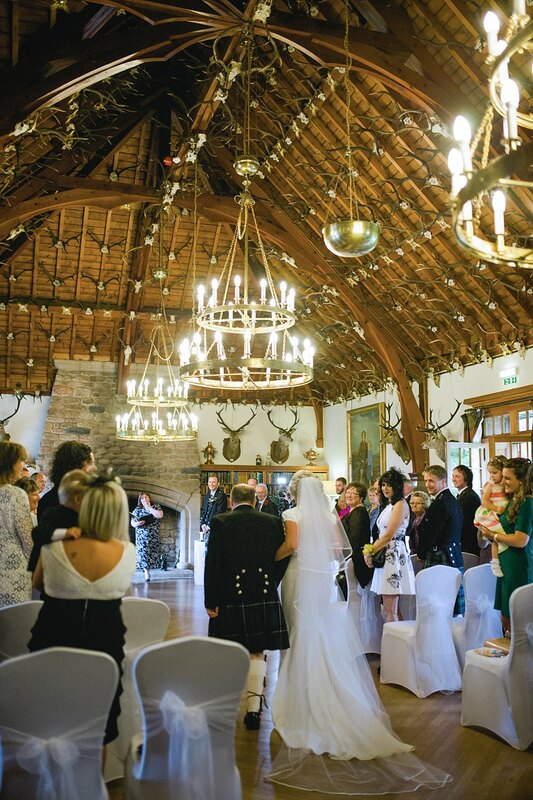 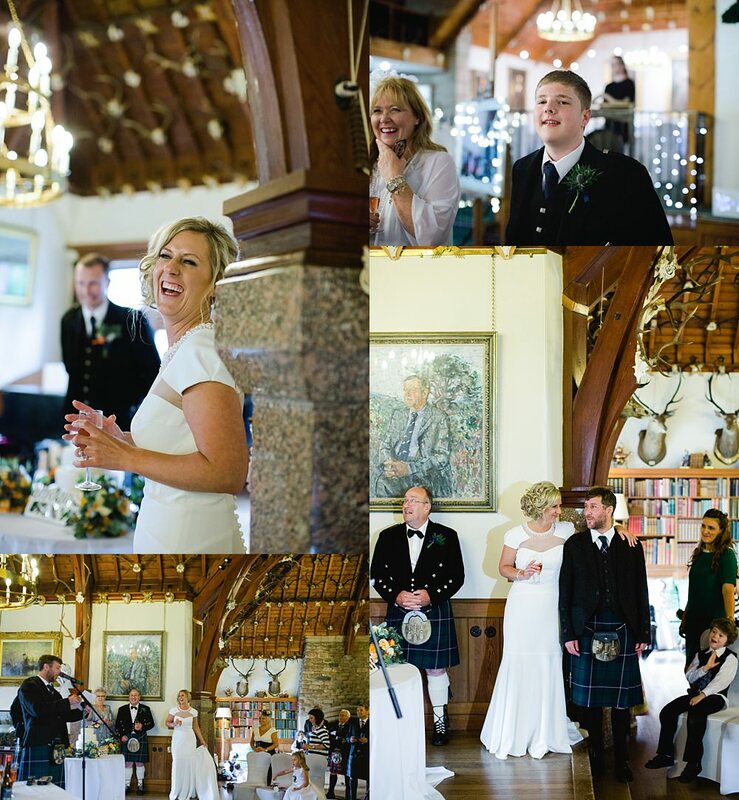 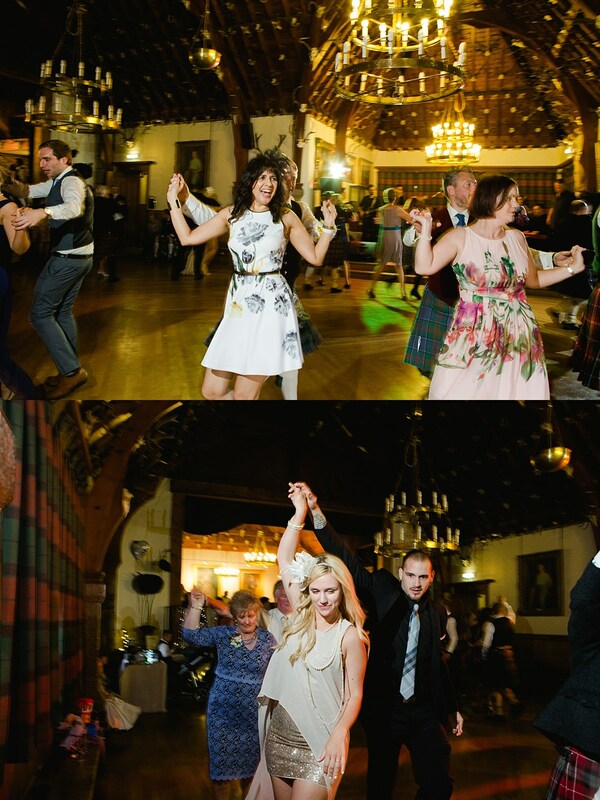 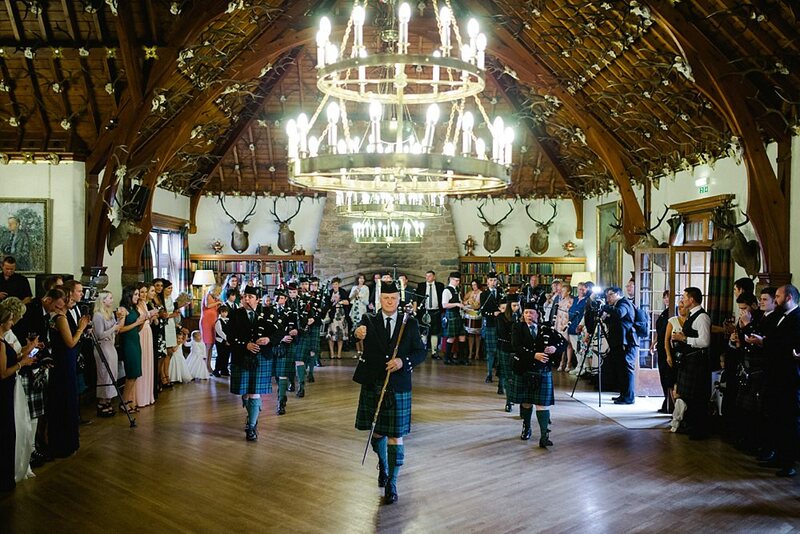 Glen Tanar could quite possibly be one of our favourite venues! 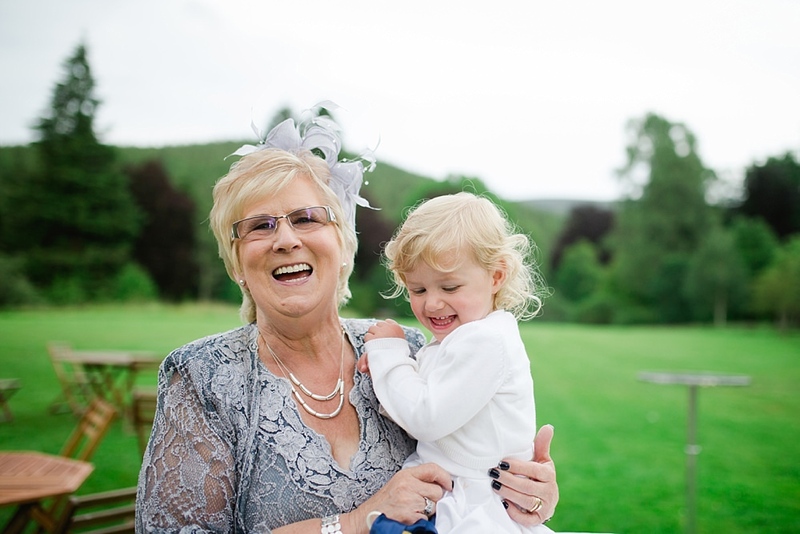 It ticks every single box! 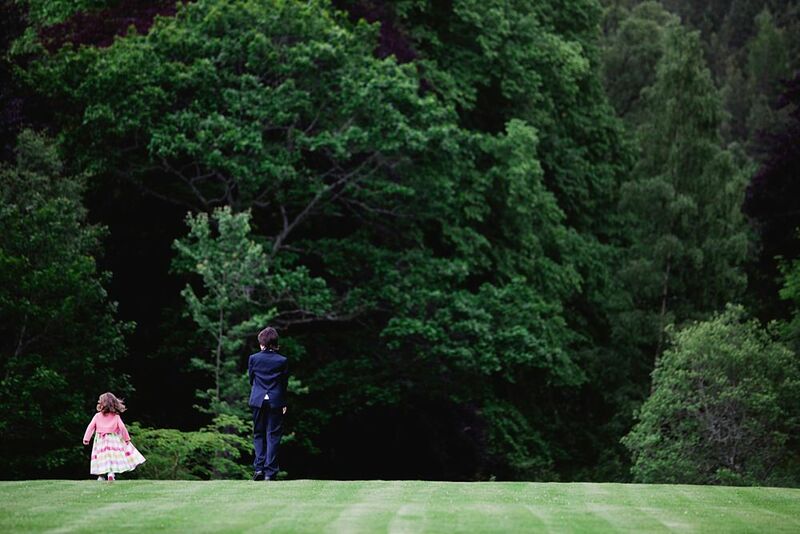 It’s just incredible on its own and for a wedding. 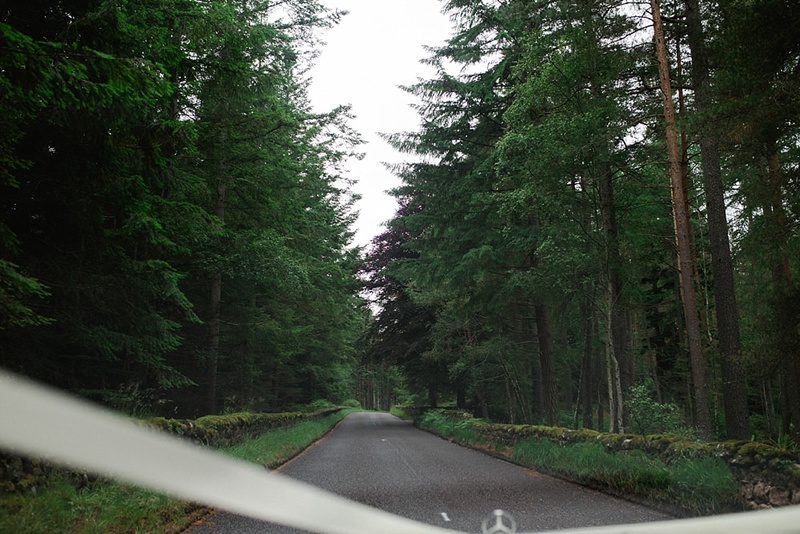 As you drive up to the venue through the gates and the fields on either side filled with sheep and amazing grand trees you just know that it will not disappoint. 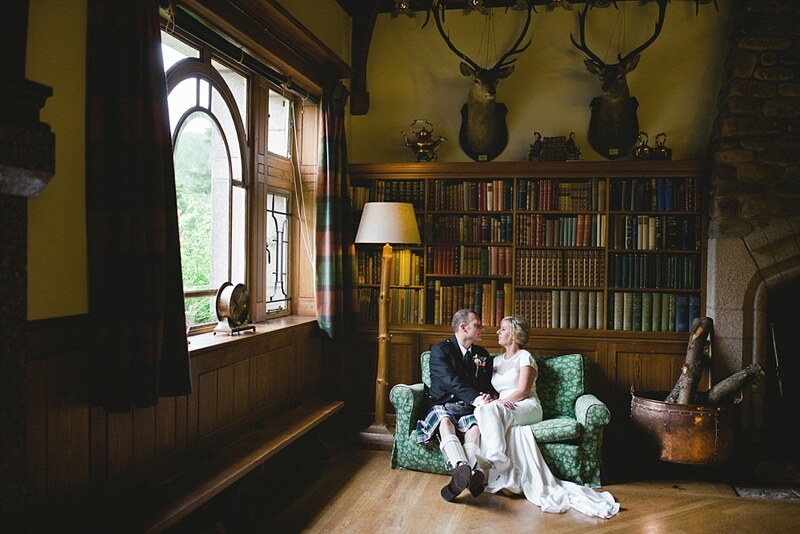 The house itself is so beautiful and so full of character with hundreds of antlers adorning the hall along with a grand fireplace and book case. 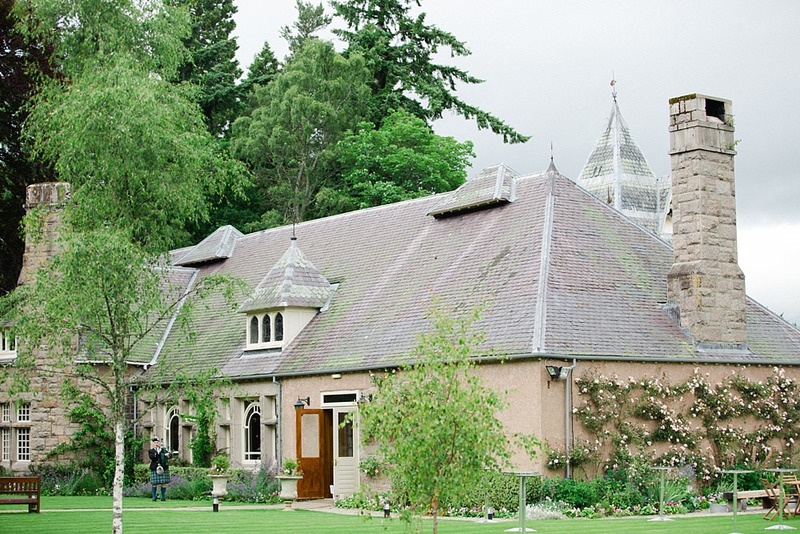 On the grounds themselves they have their own private little Loch, forests galore, a beautiful bridge and across the bridge there is an amazing walk through the fields to the estate’s private little chapel! 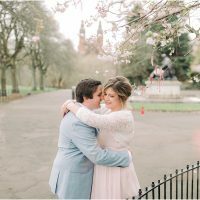 It is tough to not go crazy with photos as there are so many beautiful spots! 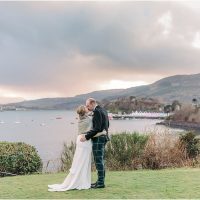 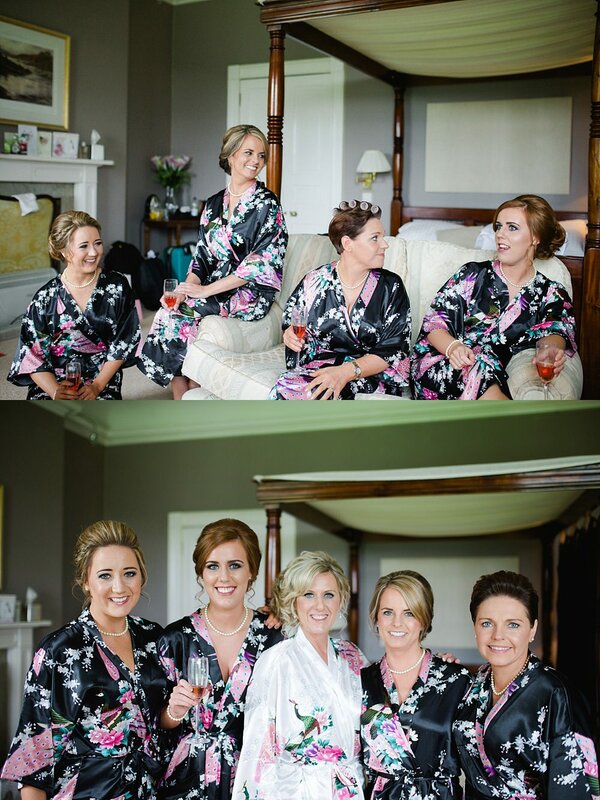 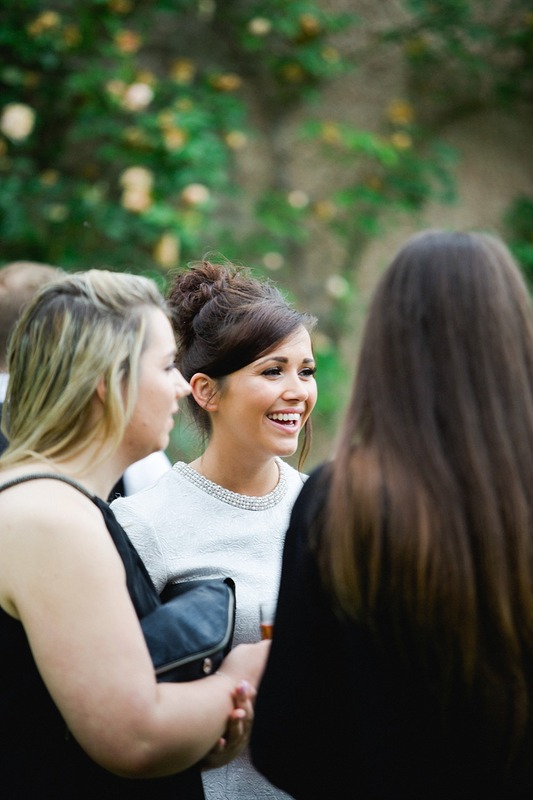 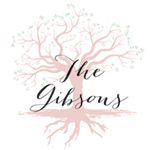 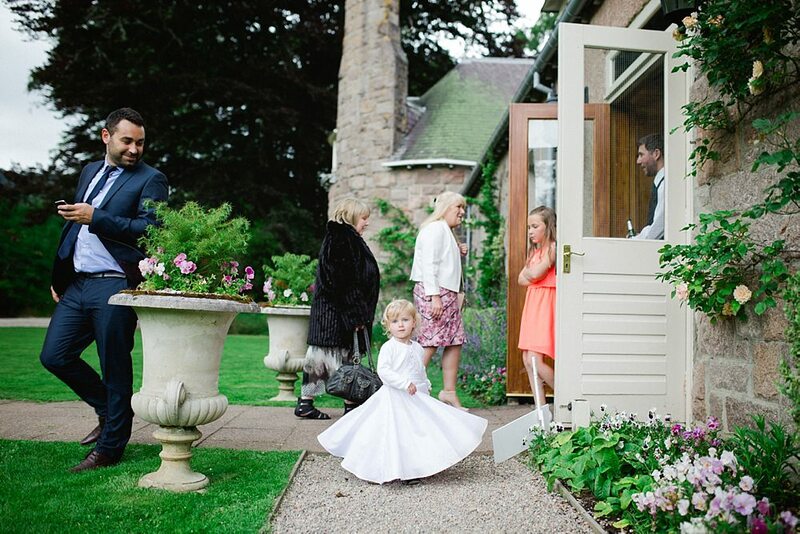 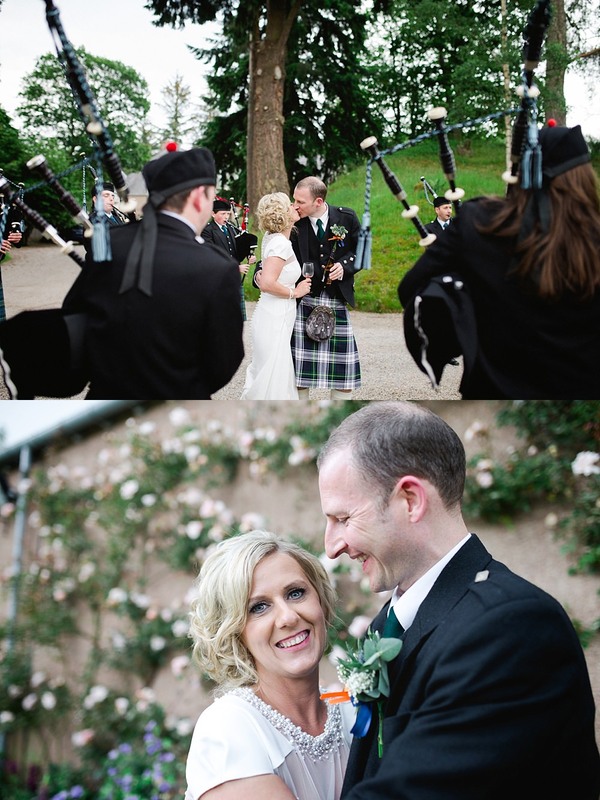 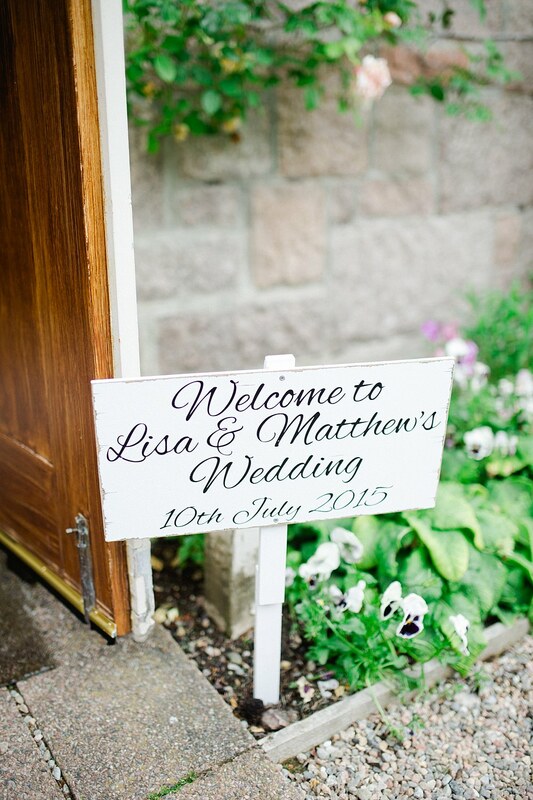 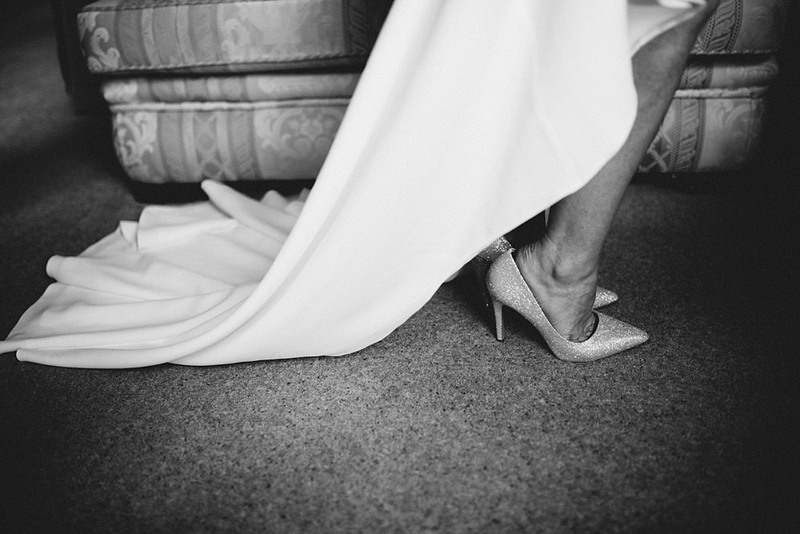 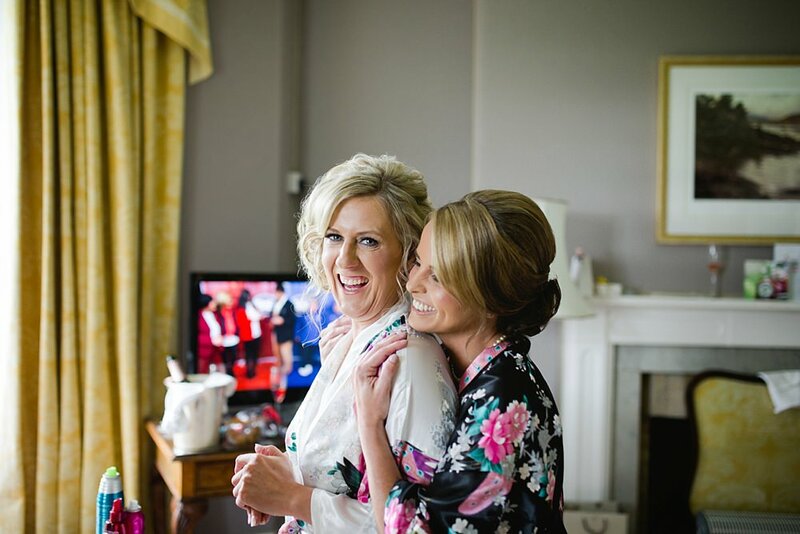 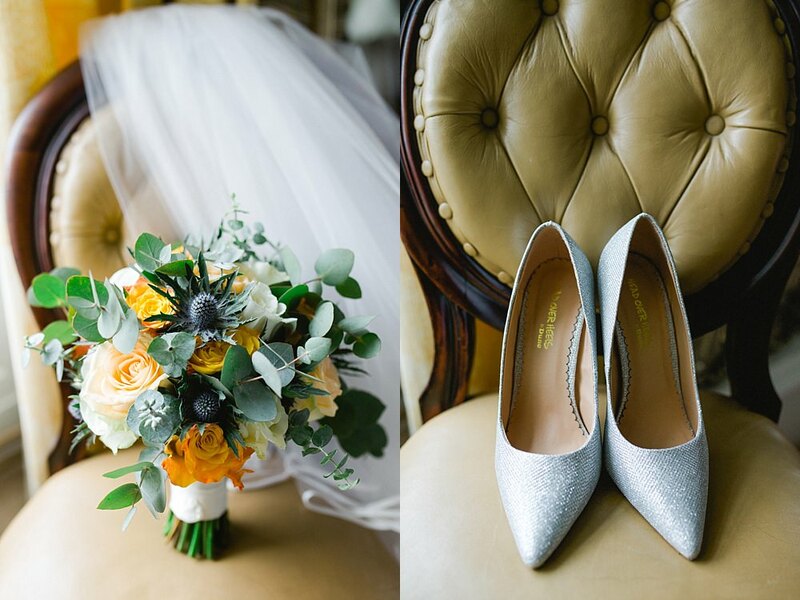 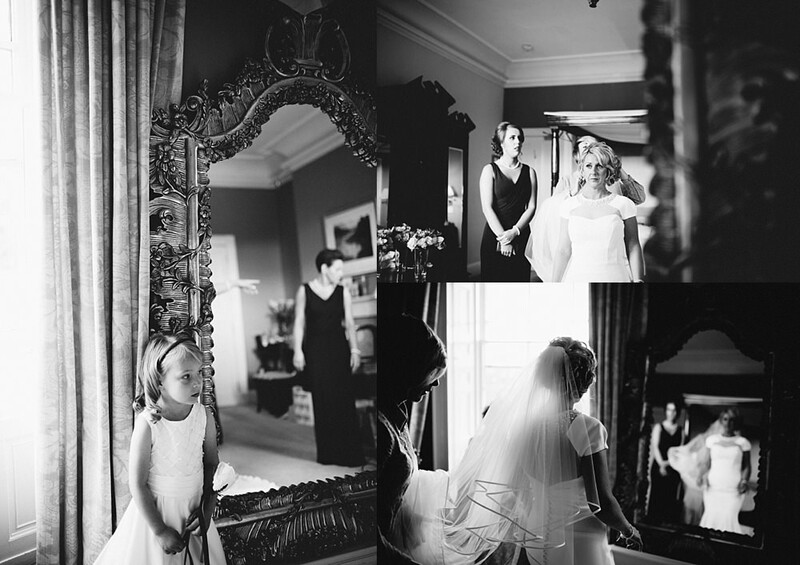 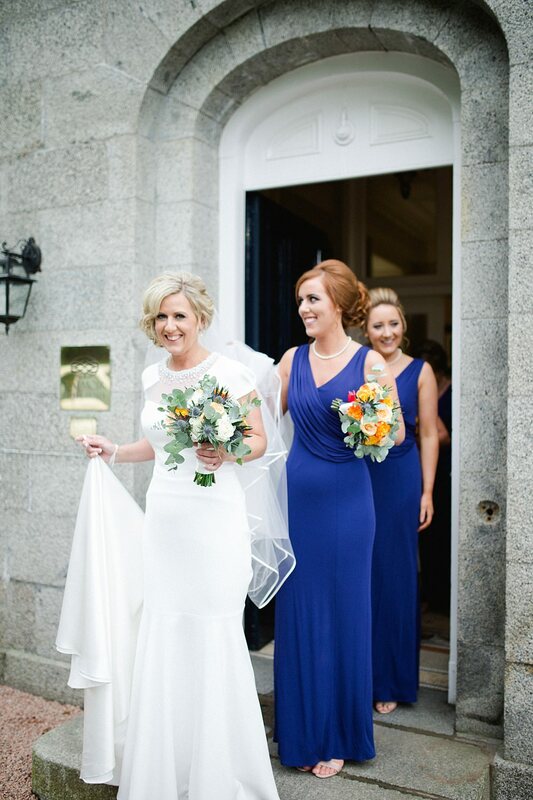 Lisa and Matthew had an intimate wedding starting out with preperations at the beautiful Raemoir House. 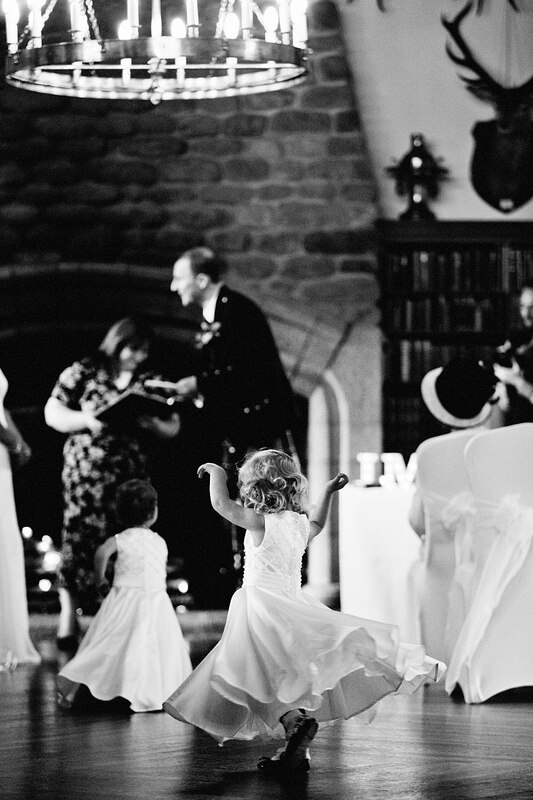 It was clear to us that family was number #1 in their life which I love seeing. 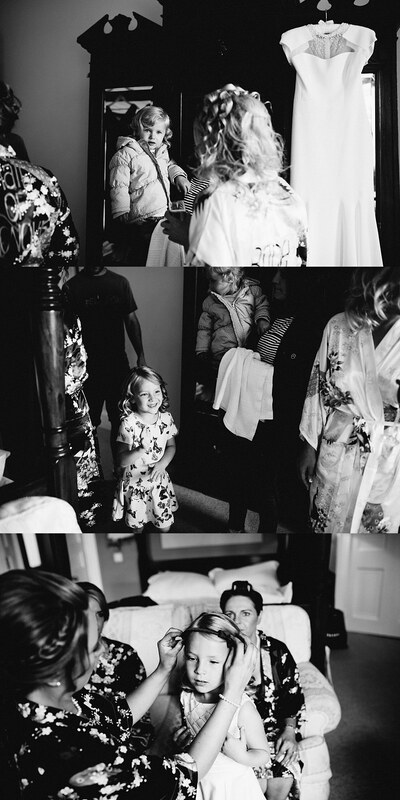 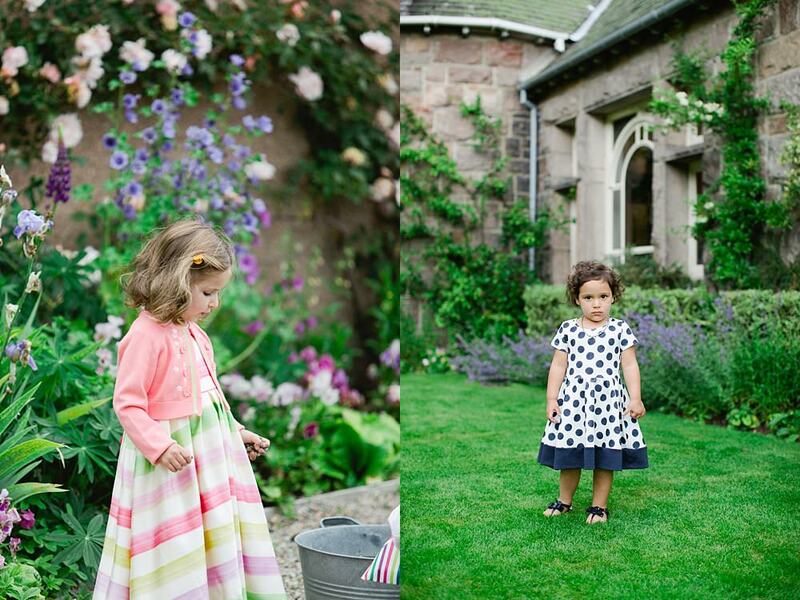 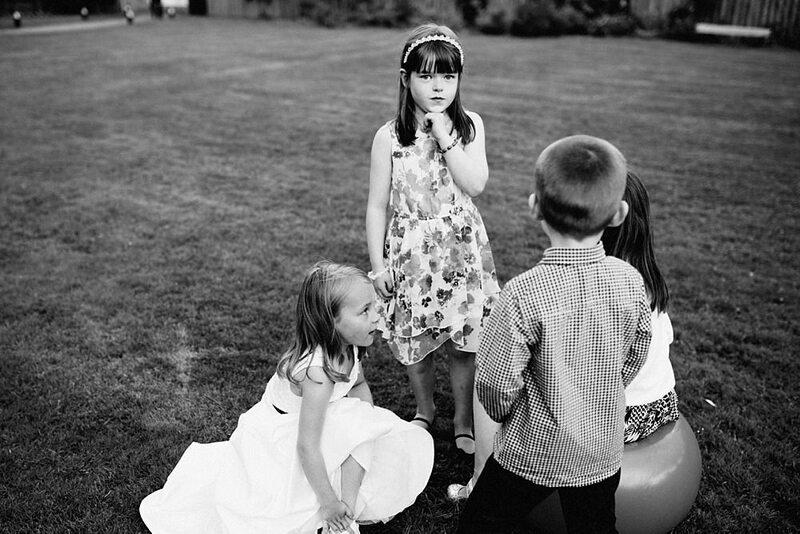 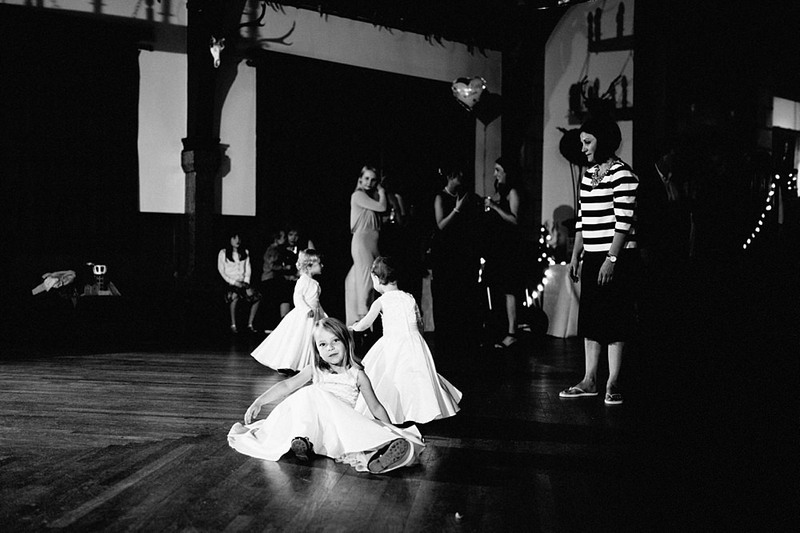 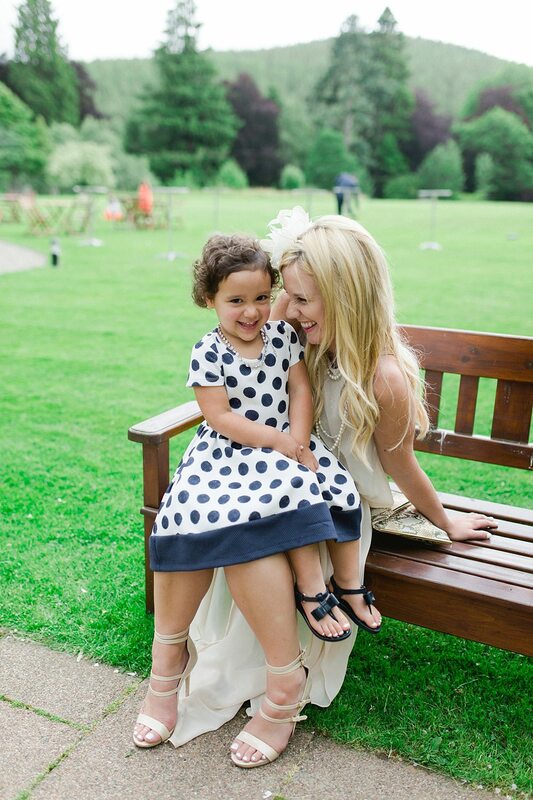 There were so many beautiful moments between the children and their parents, grandparents and aunts and uncles. 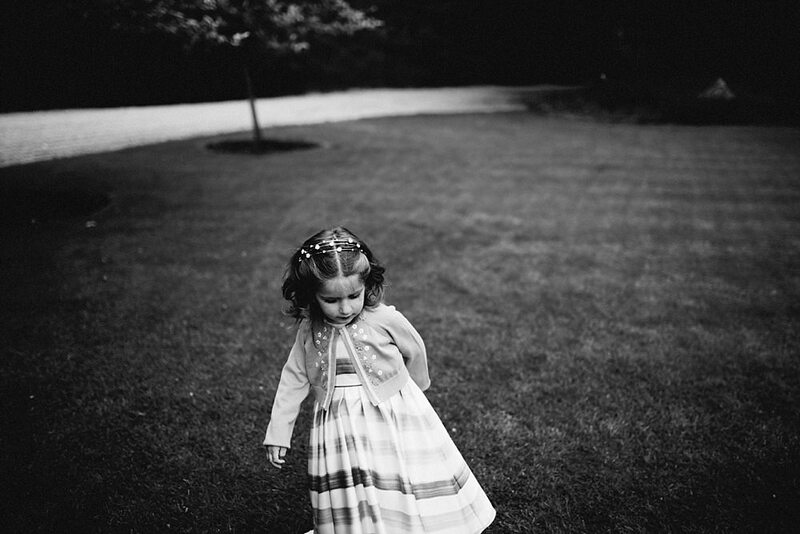 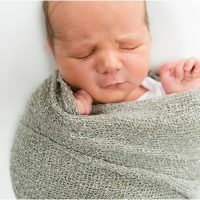 It was such a pleasure to capture. 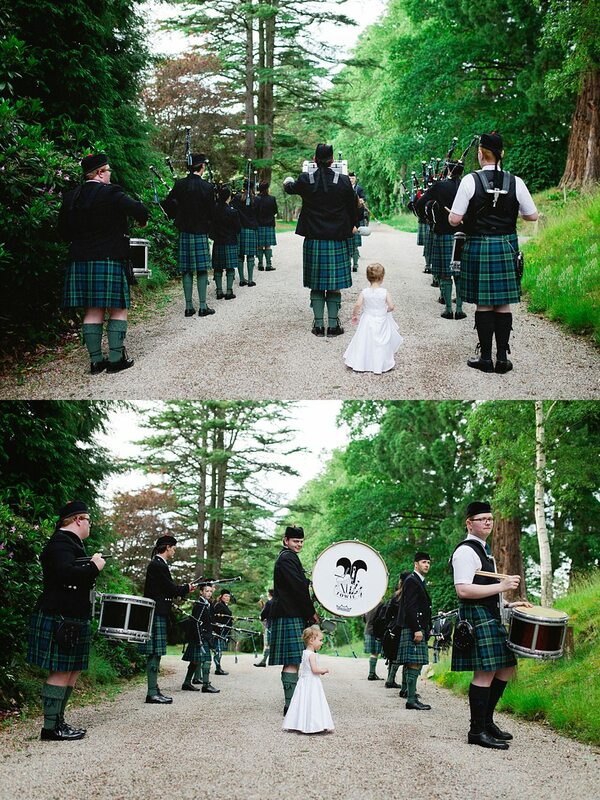 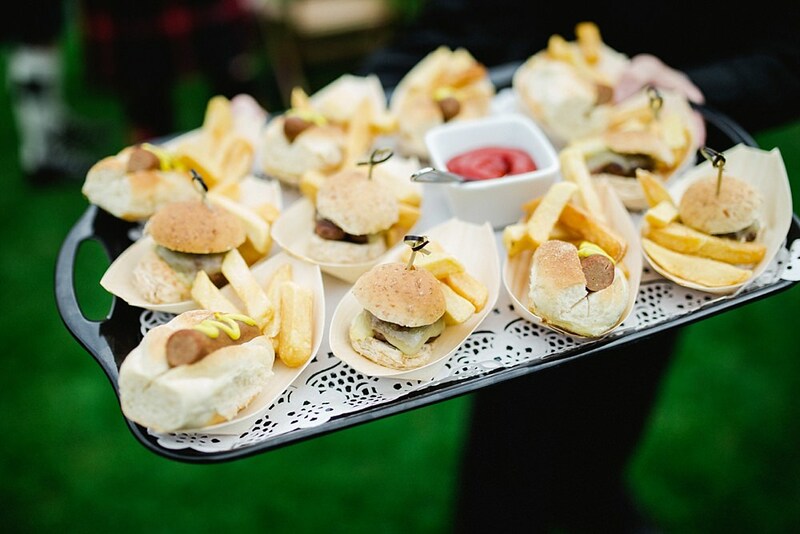 The whole day was so laid back with children running around and playing, a bubble making machine, canapes and drink and even a full pipe band at night! 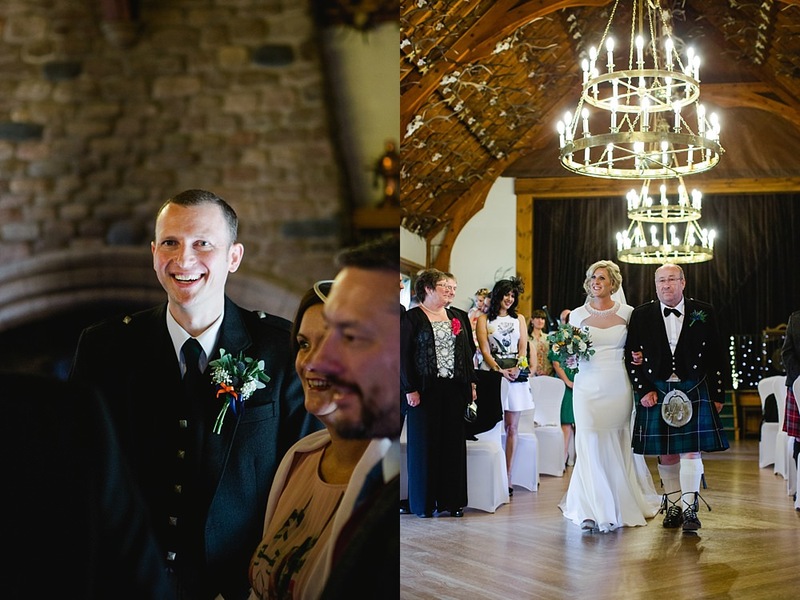 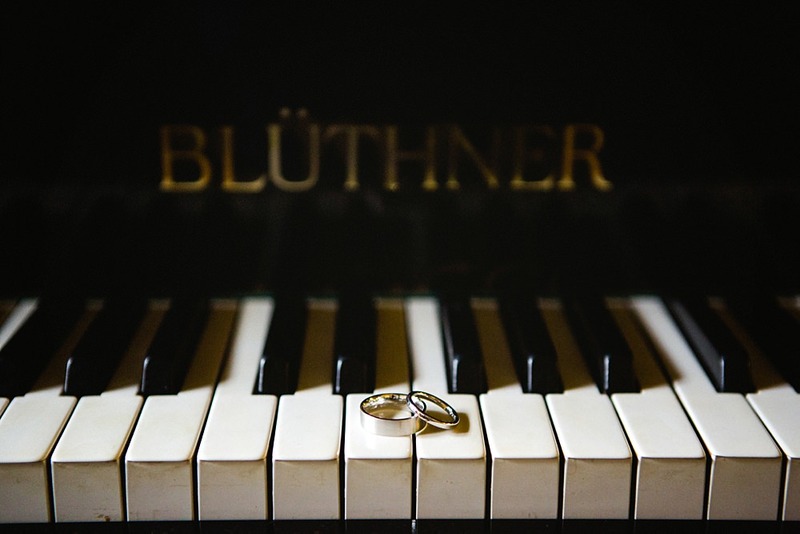 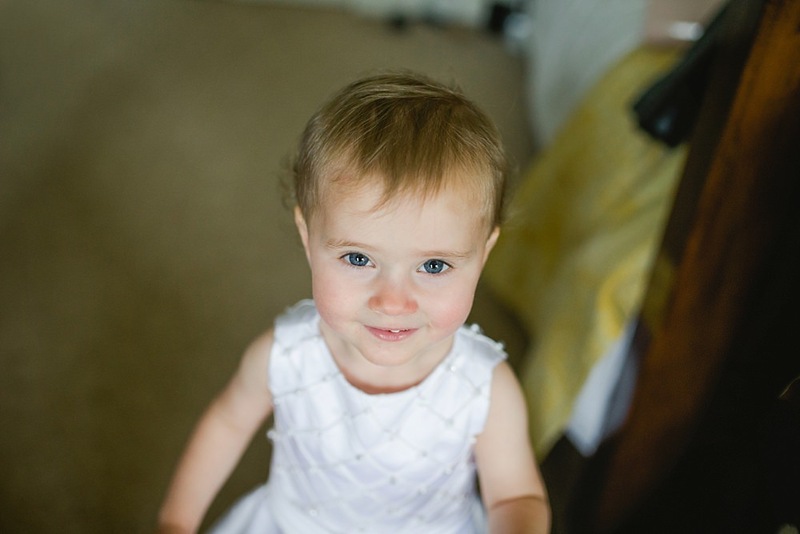 We really had such an amazing time and cannot thank them enough for asking us to photograph their wedding day.